If you’ve been following my tweets recently you will know I’ve had a bit of a nightmare lead up to these events. Problems with my laptop and problems with my seat on one of the planes. I got to the airport in plenty of time and went to the check-in desk to try and get an aisle seat. The lady there said she could lock an aisle seat for me, but couldn’t give me a boarding pass for it as I had ordered veggie food, and moving me to a different to a different floor in the plane was a problem. When I got on the plane there was a bit of confusion, but eventually they told me to sit in the new seat location and see if anyone else turned up to claim it. They didn’t so I got the aisle seat, which was a big relief. The flight went well, and the guy sitting next to me was cool so I spent a lot of time chatting. Unfortunately I didn’t get any food, but faced with the choice between a window seat with food or an aisle seat with no food, the aisle seat wins every time. I also watched Star Wars : The Last Jedi, which I enjoyed. The flight from Dubai to Hyderabad was only about 3 hours, but by the time it was over I had been awake for about 20 hours and was feeling it. I got to watch Get Out, which was very cool. I was about 3 hours early for check-in, but they had a room for me, so it was time for a shower and bed. Sleep was a bit fitful, but at least I got some. In the evening I met up with some of the other speakers and folks from the Dev Champion Program to get some food, then it was back to bed. So I made it to Hyderabad. 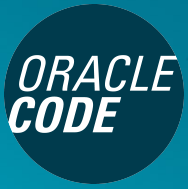 The Oracle Code : Hyderabad event starts tomorrow. Welcome to India! I hope the rest of your time in Hyderabad & Bangalore goes fine. There are many similar sounding hotel names, so the driver might have got confused. I’m based out of Chennai (an hour by flight from Hyderabad & Bangalore) in India. I would have loved to meet you, but couldn’t make it this time. Hopefully next time ! Good luck on your sessions.